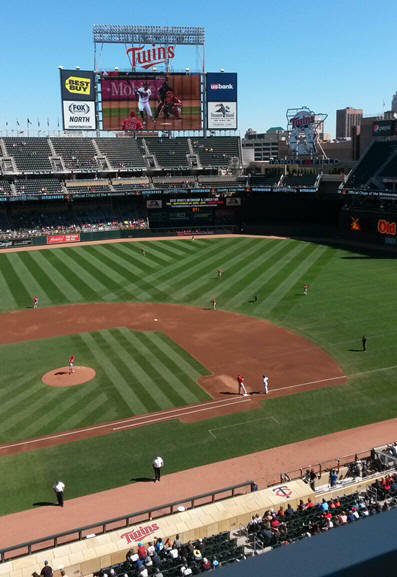 Target field was the site of the 2014 All Star game - these Peanuts characters were created for that (Charles Schulz is from MN). 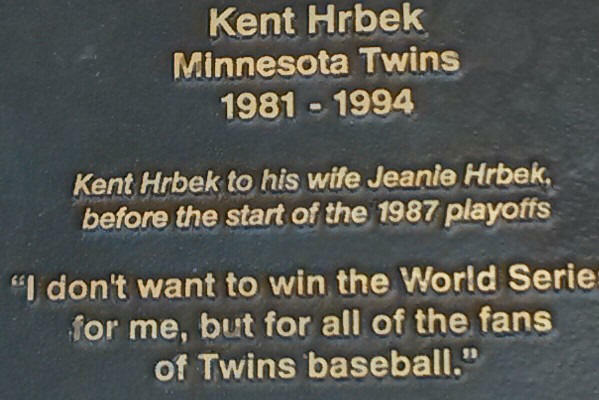 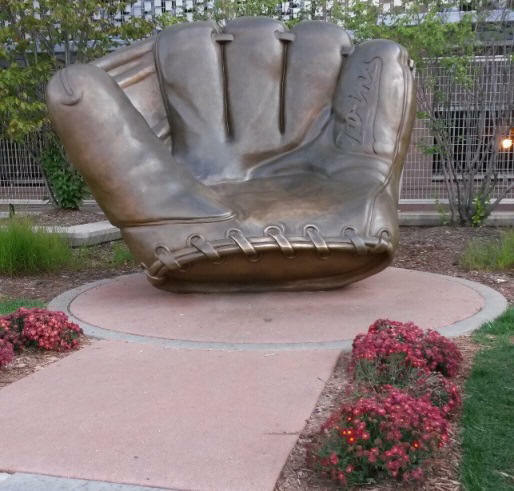 Statue of Kent Hrbek, a MN Native. 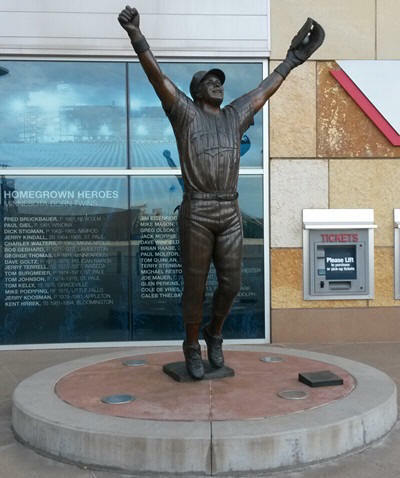 Behind statue is a list of all MN natives who have played for the Twins.